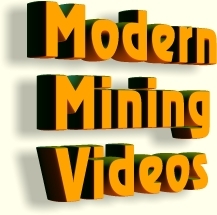 This video provides an overview of the predominant methods of underground mining. The program explains each method, shows the equipment in operation, and highlights Joy's past and present contributions. The MidAmerican Energy Company's Council Bluffs Energy Unit 4 will be the country's first power plant company to have mercury limits specifically noted in its air emissions permit; this signifies a resurgence to coal-fueled technology. See how clean coal works in this video from Hitachi True Stories.